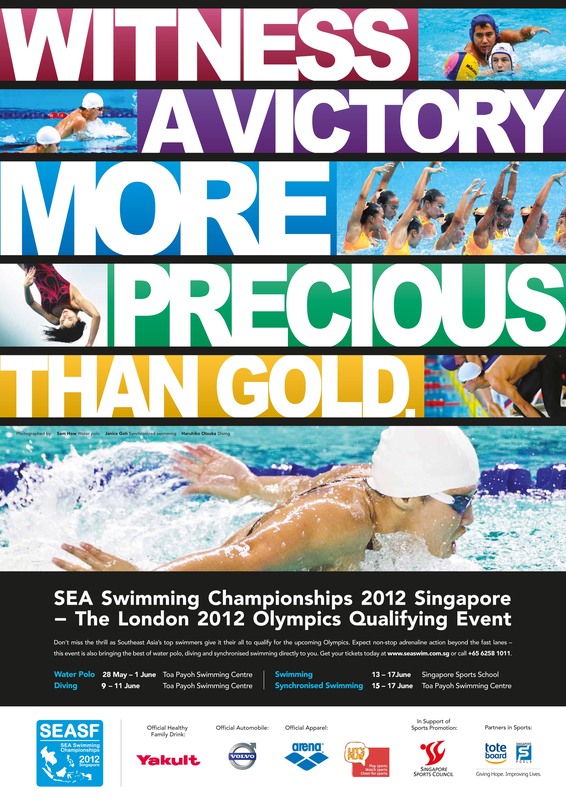 The Diving Competitions of the 1st Southeast Asian Swimming Championships 2012 will be held from 9 – 11 June, at Toa Payoh Swimming Complex. This competition will see national divers from Southeast Asian countries competing in a total of 10 events. Tickets are now available for sale. They are priced at $5 / session. To purchase, come down to Singapore Swimming Association at 301 Lorong 6 Toa Payoh, Singapore 319392, or email diving@swimming.org.sg. For more information, call 66028034. ~ by Singapore Diving on May 24, 2012.